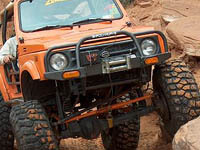 Suzuki Samurai Parts Suzuki Sidekick & Geo Tracker ShrockWorks Suzuki 4x4 offroad parts and accessories are precision fabricated and engineered for the severe offroad abuse of extreme 4x4 trails. These products are built to last a lifetime! God forgives, ROCKS DONT! 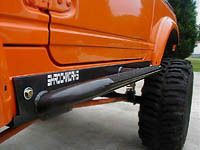 We manufacture the finest offroad Samurai Sidekick and Tracker bumpers, rock sliders for protecting your rocker panels, skid plates and many other 4x4 parts & accessories for you Samurai, sidekick and Tracker. 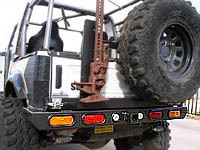 New Suzuki Samurai parts and products are always in the works. Also, parts for Suzuki Sidekick and Geo Trackers: bumpers, rock sliders, skid plates, and other armor parts and accessories are now available! If you dont see what you're looking for, give us a call or an email. For Samurai parts, please select one of the Suzuki Product categories above. 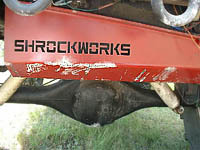 Shrockworks - Your off-road Suzuki Samurai, SideKick, and Geo Tracker specialists!